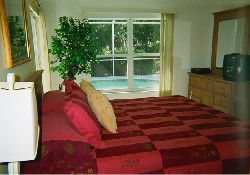 Sunbathe in the warmth of Florida's sunshine in your own private pool. Relax on chaise lounges or BBQ lunch or dinner in your fully screened lanai with outdoor table and chairs surrounded by tropical vegetation. This is a beautiful professionally decorated three bedroom, two bath, single family villa home with a two car attached garage. This home is situated just off the fairway of the Classic Flamingo Golf Course located in the heart of the gorgeous Lely Resort and Country Club featuring three world-class golf courses. Play the famous 'Flamingo Island' course designed by Robert Trent Jones, Sr. that was hailed as �America�s Best� by Golfweek magazine and received 4 stars from Golf Digest or the 'Mustang' course designed by Lee Trevino. These courses offer a challenge worthy of any golfer. The Flamingo course also has a driving range. The clubhouse has a well-supplied pro shop and locker room with showers. The clubhouse also has a restaurant open for! 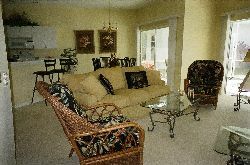 10% Florida State tax, $500 fully refundable security deposit required.